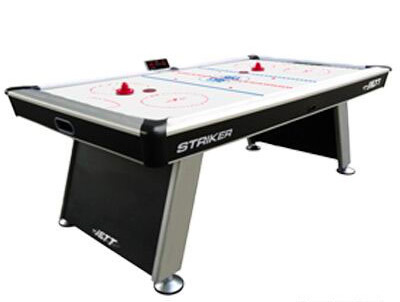 The benefits of the JETT Striker air hockey table are endless. 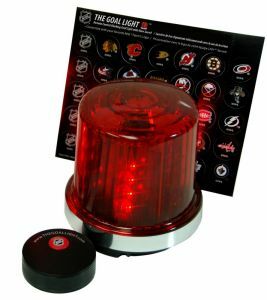 The design is based around the popular JETT Power Flo air hockey table offering a full 34” wide by 76” long, super fast air glide playing surface with ”goal in the rail” design. The 6” deep cabinetry is very sturdy and stands up to vigorous one on one play. The electronic scoreboard folds down allowing you to add the optional 2 in 1 – 7ft table tennis conversion top (sold separately) right on the air hockey table. 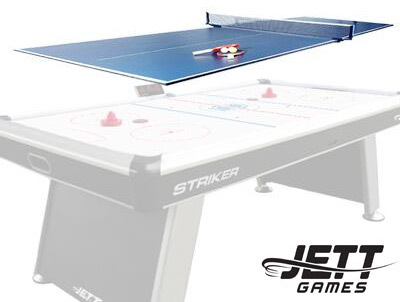 JETT’s 4’ x 7’, 2-piece conversion top is the perfect addition to your Striker Air Hockey table. 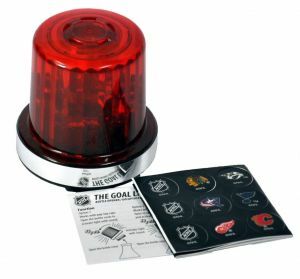 The Striker scoreboard unit folds down allowing you to add the conversion top right on the air hockey table. It comes complete with net set and 2 bats with ball. The top is finished with a blue high bounce finish with all the proper table tennis lines. You can then flip the table top and use it as a dining or hobby table essentially making the air hockey table a 3 in 1 unit. Note: Conversion tops are not ideal for all models of air hockey table. Consider weight restrictions and position of scoring displays.